Use the full stack to setup and deploy modern and secure web applications with Nginx and Node.js. You'll setup your web server through the command line -- package node.js modules with NPM, setup SSH, firewall and server security, use advanced shell scripting, configure server updates, caching and optimize nginx performance using gzip compression and HTTP2. By using these practices, you’ll deliver richer experiences, using less bandwidth all while being more secure! Jem Young begins with an overview of the agenda, and sets this course up as an extension, and deeper dive into Full Stack for Front-End. Jem recaps the first 'Full Stack for Front-Ends to catch new attendees up to speed. 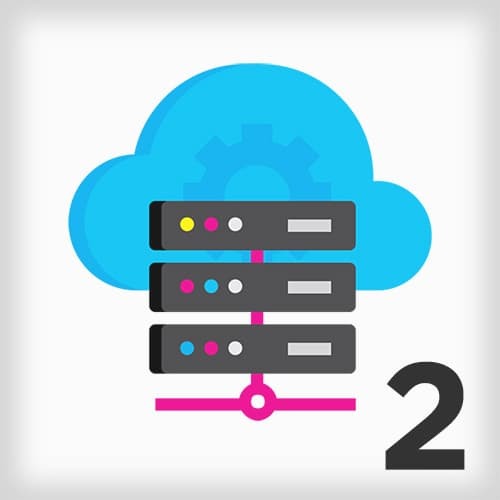 Covered in v1 of this course were some basics like domains vs IP addresses, command line basics, how to create and manage a web server, how to create and deploy system for a Node app and building a basic web page. Jem also discusses the purpose and value of learning full stack. Jem walks through securely setting up, updating, and logging into a fresh server. He also adds a sudo user with correct privileges, and then switches to that user. To continue the server setup, Jem clone's his github repo, and then he uses NPM to install Node 6, and install the Forever module. Then Jem walks through the dangers of installing these packages in the wrong directories, which can result in incorrect user permissions. Jem starts with an overview of server security by controlling access and securing applications. Jem adds an SSH key for the user created earlier, along with covering best SSH practices. Continuing server security setup, Jem adds a password for root user, disables root login, and disables password login. Jem explains the basics of a firewall and using nmap to do a scan report looking for open ports. More of a theoretical exercise due to the ease in which you can lock yourself out of your server, Jem walks through how iptables work with some configuration examples and commands. A better way to control ports on your server than iptables is ufw. Jem shows you how to user ufw to take control of your firewall configuration, along with some GUI options that may be available depending on where your server is hosted. First Jem discusses the importance of automatic updates, then he illustrates how to install and configure them on the server. In this exercise, an overview of Fail2ban is explained, and then Jem installs and configures the tool. Starting with a very quick overview of ‘What is a shell?’, Jem moves into covering two extremely useful command line tools to find things: find and grep. Jem walks through some examples of how to use find, and why mastering this command can be extremely useful. Grep is another powerful command to help you search your server. Jem illustrates some examples of how to use grep to help you find content within your files. Jem describes the power of redirection and redirection operators. Jem explores the concept of shells and the different types of shells that exist. As an exercise, Jem changes between a few different shells, and then exits to bash. Jem walks through an example of a shell script and shows the pros and cons of shell scripting. First Jem gives an example of portable shell scripting in bash, and then he talks briefly about chmod and how it controls permissions. Jem walks through an example of creating a node shell script. Jem starts with an overview of HTTPS, and then completes setting up Nginx while providing tips to make installation easier. To prepare the server for the HTTPS certificate, Jem edits the Nginx configuration and opens port 443. Reinforcing good security practices, Jem leads a discussion on what HTTPS is, and why it matters. Jem enables HTTPS on his example web server by generating, configuring installing and testing certification with certbot. HE also leads a tour of how to audit the security of your https encryption, and how to update your certificate when it expires. The origins of the command ‘Cron’ are explored by Jem, as well as its purpose and usage. Using cron and certbots, Jem sets up auto updates to the HTTP certificate on the example server. Jem talks about the power of optimizing Nginx, and introduces and sets up gzip for compressing outgoing traffic. Jem describes how expires headers control caching between the web server and the client, and we explore how to set these up. Included are some discussions around best practices and common problems with expires headers. By setting up caching, Nginx can speed up the server’s hosting while using less resources. Jem walks through how setup and configuration works with caching on his example server. Jem starts with an overview of websockets, and then moves into setting up a tunnel in Nginx for websockets to connect with Node, and verifies that this is working on his client web browser. We explore the client side code interacting with websockets data, and get a brief discussion on observables. As an example using websockets, Jem uses a script created earlier to create a real-time resource graph for the web server on the client. Jem gives an http/2 overview and talks a bit about its history. To illustrate how http/2 works, Jem enables and tests http/2 on his example server. After describing how to redirect on your website to anywhere on the web, Jem discusses the difference between 301 and 302 redirects. Jem explores the differences between relational and non-relational databases, and how to pick your DB type based on usage and requirements. In this exercise, Jem installs and tests MySQL server on the example web server. Based on hard-earned personal experience, Jem provides useful tips and best practices for protecting and maintaining your database. Jem introduces containers, the benefits of containers, and some examples of how they are used. The concept of orchestration is discussed with Jem, and a tool and example are explored. Jem briefly shows how using automated deployments can enable you to quickly and accurately spin up many environments like the one built in this course. After providing a review of the course, Jem answers questions from students about maintainability, frameworks, service working, when to use containers, state management and monolithic structures vs service workers.